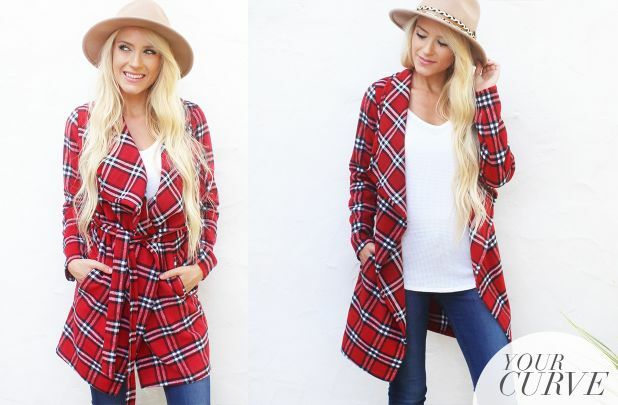 Plaid Belted Jacket – 2 Colors! On Sale Today! GroopDealz currently has this Plaid Belted Jacket – 2 Colors! for just $19.99! (Reg. $60) Grab the Plaid Belted Jacket – 2 Colors! here on GroopDealz right now. Bundle up with this lightweight plaid coat features a shawl collar and cute belted closure.